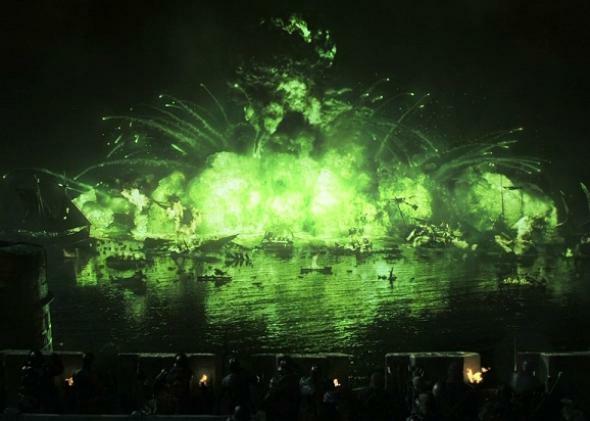 Game of Thrones HBO: Season 2's Blackwater cost $8 million. After Sunday’s Season 4 Game of Thrones premiere, the HBO show couldn’t be more popular. It’s one of the highest-rated cable shows, its twists make the Internet go crazy, and viewers sell out fan events in minutes. To find out what helped the series become such a phenomenon, we have to go back to Season 2’s climatic “Blackwater” episode. “Blackwater” not only brought Thrones to the masses; it was also one of the most costly episodes ever produced for television. 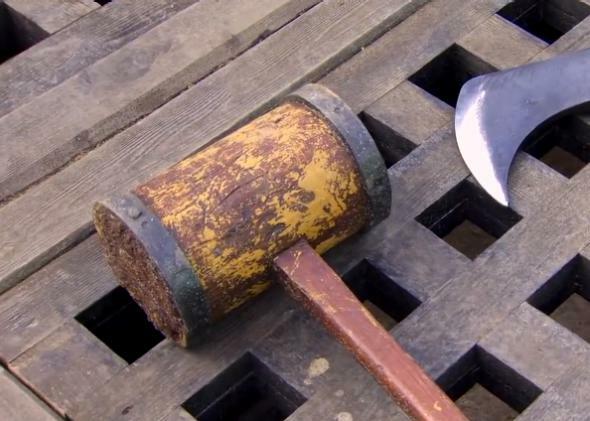 Here’s how the epic $8 million episode came together. 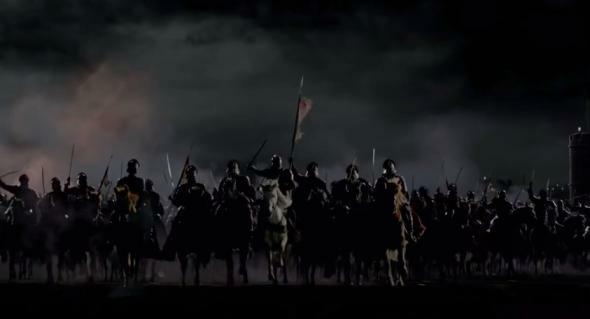 According to series creators Dave Benioff and Dan “D.B.” Weiss, preparation for the Battle of Blackwater episode started all the way back in Season 1. That major battle would turn out to be Season 2’s penultimate episode, “Blackwater.” However, bringing a key conflict to life would be a serious production and financial challenge. Luckily, the creators were able to go to the source for help. Hardest episode is an understatement. In the second book, A Clash of Kings, the Battle of Blackwater is a war by land and sea that blows up a fleet of ships and takes up six chapters. Putting it together would undoubtedly be a challenge—but not as challenging as getting HBO to pay for it. According to E! Online, an average episode of Game of Thrones costs $6 million, making it one of the most expensive series on television. In comparison, the average cable episode costs $2 million, so the extra costs for “Blackwater” alone equaled the price of one episode. Typically, the show’s large budget includes filming on location in places like Northern Ireland and Croatia. 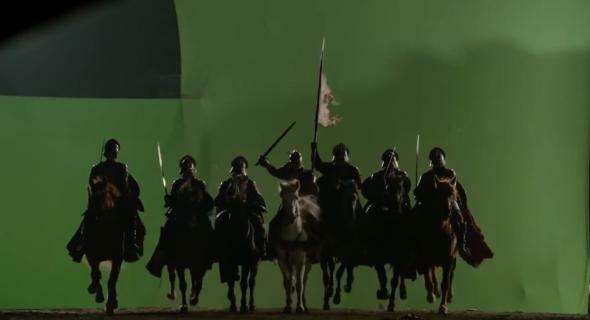 For the Battle of Blackwater episode, the large budget went toward a three-part fight sequence that consisted of a large naval battle, beach fight, and castle storming. Filming for the scene took place in Belfast, Northern Ireland, where Benioff said they shot every night for about a month. 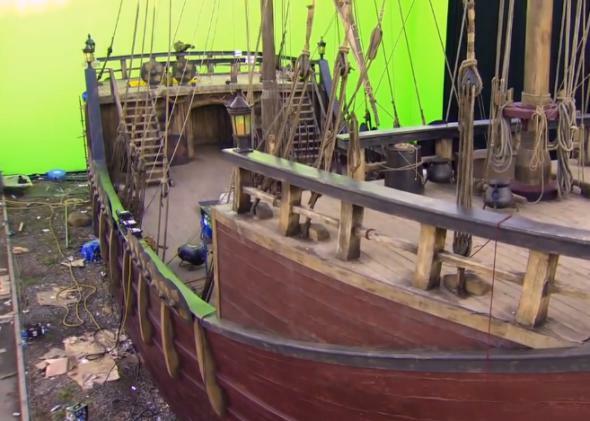 According to a Season 2 featurette, the budget was spread across building ships, visual effects, and more than 250 extras that needed costumes and fight training. A full-size battleship, based on those from the 14th century, was constructed; it included a large deck above and below ground. They built a castle battlement that guards overlooked while enemies approached. Custom set props filled in for weapons. Cast members, including Peter Dinklage, said they never had to pretend with the amount of detail put into the set. 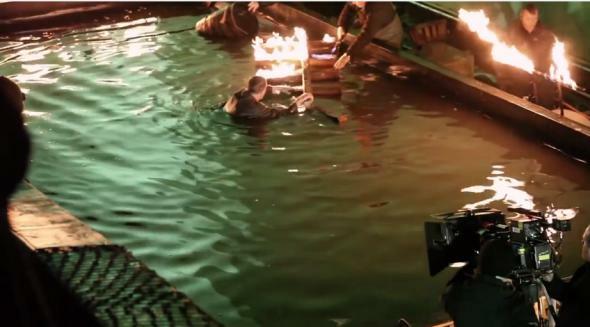 In addition, the crew built a giant 4-foot-deep water tank for stuntmen who were set on fire. An impressive number of visual effects were used to create a fleet of ships and their explosive destruction, and to add hundreds of more extras in battle. This scene below of roughly 100 horses started out with just 13. Benioff told EW the scene used more effects than any other episode up until that point. All of it would go into making “Blackwater,” but would the price tag be worth it for HBO and Game of Thrones? In short, “Blackwater” blew away both critics and fans. Reviews of the episode were so positively received some called it the show’s best episode “filled with as much spectacle as any episode of TV.” It would become one of the series’ highest-rated episodes, pulling in 3.38 million viewers. This would lead to a greater interest in the series. Ratings haven’t gone down since. By the end of Season 3, the Game of Thrones audience would nearly double, to 5.39 million viewers—not to mention the millions more watching through HBO’s online streaming service, HBO Go. Even though “Blackwater” would go on to help make Game of Thrones one of the most popular shows, the greatest battle may be yet to come.